1 Department of Oral and Maxillofacial Radiology, Dental Research Center, Dental School, Hamadan University of Medical Sciences, Hamadan, Iran. 2 Department of Oral and Maxillofacial Surgery, Dental Implant Research Center, Dental School, Hamadan University of Medical Sciences, Hamadan, Iran. 3 Department of Oral and Maxillofacial Radiology, Dental School, Hamadan University of Medical Sciences, Hamadan, Iran. 4 Department of Endodontics, Dental school , Kermanshah University of Medical Sciences, Kermanshah, Iran. 5 Department of Epidemiology and Reproductive Health, Reproductive Epidemiology Research Center, Royan Institute for Reproductive Biomedicine, ACECR, Tehran, Iran. 6 Department of Oral and Maxillofacial Radiology, Dental School, Kermanshah University of Medical Sciences, Kermanshah, Iran. Cortical bone is an important anatomical structure and its thickness needs to be determined prior to many dental procedures to ensure treatment success. Imaging modalities are necessarily used in dentistry for treatment planning and dental procedures. Three-dimensional image reconstruction not only provides visual information but also enables accurate measurement of anatomical structures; thus, it is necessarily required for maxillofacial examination and in case of skeletal problems in this region. This study aimed to assess the ability of three Cone Beam Computed Tomography (CBCT) systems including Cranex 3D, NewTom 3G and 3D Promax for Three-Dimensional (3D) image reconstruction of the cortical plate with variable thicknesses. Depending on the cortical bone thickness, samples were evaluated in three groups of ≤ 0. 5 mm, 0.6 -1 mm and 1.1-1.5 mm cortical bone thickness. The CBCT scans were obtained from each sample using three systems, their respective FOVs, and 3D scans were reconstructed using their software programs. Two observers viewed the images twice with a two-week interval. The ability of each system in the 3D reconstruction of different thicknesses of cortical bone was determined based on its visualization on the scans. The data were analyzed using SPSS and Kappa test. The three systems showed the greatest difference in the 3D reconstruction of cortical bone with < 0.5 mm thickness. Cranex 3D with 4×6 cm2 FOV had the highest and 3D Promax with 8×8 cm2 FOV had the lowest efficacy for 3D reconstruction of cortical bone. Cranex 3D with 4×6 cm2 and 6×8 cm2 FOVs and NewTom 3G with 5×5 cm2 and 8×5 cm2 FOVs showed significantly higher efficacy for 3D reconstruction of cortical bone with 0.6-1mm thickness while 3D Promax followed by NewTom 3G with 8×8 cm2 FOV had the lowest efficacy for this purpose. Most CBCT systems have high efficacy for 3D image reconstruction of cortical bone with thicknesses over 1 mm while they have poor efficacy for image reconstruction of cortical bone with less than 0.5 mm thickness. Thus, for accurate visualization of anatomical structures on CBCT scans, systems with smaller FOVs and consequently smaller voxel size are preferred. Keywords: Cone-Beam Computed Tomography (CBCT), Cortical bone, Imaging, Three-dimensional, Image processing, Computer-assisted. © 2018 Shokri et al. Imaging modalities are necessarily used in dentistry for treatment planning and dental procedures. Advances in science facilitate the use of modern technologies. Advanced imaging techniques such as Computed Tomography (CT) revolutionized medicine and dentistry; however, the application of CT is limited in dentistry due to high cost, large size of equipment and high patient radiation dose [1Razavi T, Palmer RM, Davies J, Wilson R, Palmer PJ. Accuracy of measuring the cortical bone thickness adjacent to dental implants using cone beam computed tomography. Clin Oral Implants Res 2010; 21(7): 718-25. [http://dx.doi.org/10.1111/j.1600-0501.2009.01905.x] [PMID: 20636726] ]. Cone Beam Computed Tomography (CBCT) was introduced as a standard alternative to CT for diagnostic and therapeutic purposes. It is extensively used for 3D image reconstruction of the maxillofacial region and plays an important role in dental diagnosis and treatment planning [2Ozdemir F, Tozlu M, Germec-Cakan D. Cortical bone thickness of the alveolar process measured with cone-beam computed tomography in patients with different facial types. Am J Orthod Dentofacial Orthop 2013; 143(2): 190-6. [http://dx.doi.org/10.1016/j.ajodo.2012.09.013] [PMID: 23374925] ]. Three-dimensional image reconstruction not only provides visual information but also enables accurate measurement of anatomical structures; thus, it is necessarily required for maxillofacial examination and in case of skeletal problems in this region [3Nahm KY, Kang JH, Moon SC, et al. Alveolar bone loss around incisors in class I bidentoalveolar protrusion patients: A retrospective three-dimensional cone beam CT study. Dentomaxillofac Radiol 2012; 41(6): 481-8. [http://dx.doi.org/10.1259/dmfr/30845402] [PMID: 22184474] ]. Cortical bone is an important anatomical structure and its thickness needs to be determined prior to many dental procedures to ensure treatment success. Primary stability of implants, which is critical for adequate osseointegration, depends on the thickness of cortical bone adjacent to the implant. Thus, it is imperative to find regions of jawbone with an adequate thickness of cortical bone for implant placement. In orthodontics, use of mini-implants to provide orthodontic anchorage is a relatively new treatment modality. Determining a proper location for insertion of mini-implants also depends on the presence of adequate thickness of cortical bone in the area because, in case of the insufficient thickness of cortical bone at the site, fenestration may occur during orthodontic treatment and following load application [4Hao Y, Zhao W. Assessment of jaw bone density at implant sites using 3D cone beam computed tomography. 2014; . Eur rev med sci 2014; 18: 1398-403.]. Conventional Two-Dimensional (2D) radiographs cannot accurately determine the thickness and volume of cortical bone for placement of mini-implants. The inadequate thickness of cortical bone at the site significantly increases the risk of premature loosening of mini-implants [1Razavi T, Palmer RM, Davies J, Wilson R, Palmer PJ. Accuracy of measuring the cortical bone thickness adjacent to dental implants using cone beam computed tomography. Clin Oral Implants Res 2010; 21(7): 718-25. 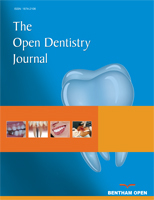 [http://dx.doi.org/10.1111/j.1600-0501.2009.01905.x] [PMID: 20636726] , 4Hao Y, Zhao W. Assessment of jaw bone density at implant sites using 3D cone beam computed tomography. 2014; . Eur rev med sci 2014; 18: 1398-403.]. Moreover, cortical bone needs to be radiographically examined prior to orthodontic treatment to assess the possible presence of impacted teeth. If the orthodontic treatment plan includes forced eruption of impacted teeth, 3D image reconstruction by CBCT can significantly enhance the visualization of cortical plate at the site and help to predict the success of treatment. Not paying attention to the absence of cortical bone or its insufficient thickness at the site of treatment may eventually result in the hopeless prognosis of tooth following the application of orthodontic forces [4Hao Y, Zhao W. Assessment of jaw bone density at implant sites using 3D cone beam computed tomography. 2014; . Eur rev med sci 2014; 18: 1398-403., 5Cassetta M, Sofan AAA, Altieri F, Barbato E. Evaluation of alveolar cortical bone thickness and density for orthodontic mini-implant placement. J Clin Exp Dent 2013; 5(5): e245-52. [http://dx.doi.org/10.4317/jced.51228] [PMID: 24455090] ]. Oral and maxillofacial surgeons most commonly benefit from the algorithms of 3D image reconstruction. In some maxillofacial surgical procedures especially those associated with the use of grafts and particularly ramus bone grafts, selection of surgical site highly depends on the presence of adequate thickness of cortical bone and adequate quality of bone in the area because normally ramus bone grafts have a long length and very thin thickness and it is important to ensure adequate thickness of cortical bone at the graft recipient site preoperatively [6Talaat W, Albayatti S. A CBCT measurement of the mandibular buccal bone thickness in dentate adults. Oral Surg 2014; 34: 1-11.]. One common problem encountered by maxillofacial surgeons and radiologists when assessing anatomical structures and pathological conditions of the maxillofacial region on conventional radiographs is that the cortical plate has not been well visualized in the reconstructed images, which leads to misdiagnosis of inadequate thickness of cortical bone or bone perforation. ; thus, accurate radiographic visualization of cortical bone can significantly affect treatment planning [7Swasty D, Lee JS, Huang JC, et al. Anthropometric analysis of the human mandibular cortical bone as assessed by cone-beam computed tomography. J Oral Maxillofac Surg 2009; 67(3): 491-500. [http://dx.doi.org/10.1016/j.joms.2008.06.089] [PMID: 19231771] ]. The CBCT scans are necessarily required for more accurate visualization of jawbones in many patients. Recent advances in CBCT systems have been noticeable. It appears that different CBCT systems have variable efficacy for 3D image reconstruction [7Swasty D, Lee JS, Huang JC, et al. Anthropometric analysis of the human mandibular cortical bone as assessed by cone-beam computed tomography. J Oral Maxillofac Surg 2009; 67(3): 491-500. [http://dx.doi.org/10.1016/j.joms.2008.06.089] [PMID: 19231771] ]. The quality of 3D image reconstruction by these systems and their efficacy in visualization of maxillofacial structures are affected by several factors including the type of system used for data acquisition, Field Of View (FOV), selection of scanning parameters and 3D reconstruction algorithms of each system [8Klintstrom E, Lee JS, Smedby O, Klintstrom B. Trabecular bone histomorphometric measurements and contrast to noise ratio in CBCT. Dentomaxillofac Radiol 2014; 43(8): 46-58.]. The accuracy of 3D image reconstruction by CBCT has not been well investigated in the literature (this citation is not accurate) [9Ibrahim N, Parsa A, Hassan B, Van Der Stelt P. The effect of scan parameters on cone beam CT trabecular bone microstructural measurements of the human mandible. Dentomaxillofac Radiol 2013; 42(10): 41-7.]. Considering the importance of cortical bone visualization on 3D CBCT scans and the variable ability of CBCT systems in terms of 3D image reconstruction, it is important to find the system with the best efficacy for visualization of cortical bone, especially in thin thicknesses. Moreover, it is imperative to know the minimum thickness of cortical bone visualized by the software programs of different CBCT systems and detectable on the reconstructed 3D images. Concerning the significance of the aforementioned topics and since no study has evaluated the ability of CBCT systems for 3D image reconstruction of different thicknesses of cortical bone, this study sought to assess the efficacy of three CBCT systems for 3D image reconstruction of variable thicknesses of cortical bone. This study was performed in accordance with the Declaration of Helsinki and was approved by the ethics committee of Hamadan University of Medical Sciences (ECHUMS) issued in 2016 (Grant number: EC-16-35-9-220). All samples were coded and each one was placed independently in the CBCT systems and scanned. Cross-sectional views of cortical bone thickness in the buccal surface were obtained using the CBCT system software. In cases where the thickness of cortical bone was greater than the required thickness in groups, the thickness was decreased by a milling machine and CBCT scans were obtained to ensure the desired thickness of cortical bone in samples. For soft tissue simulation, a model of the mandible was used and wax layers were shaped in the form of the mandible [1Razavi T, Palmer RM, Davies J, Wilson R, Palmer PJ. Accuracy of measuring the cortical bone thickness adjacent to dental implants using cone beam computed tomography. Clin Oral Implants Res 2010; 21(7): 718-25. [http://dx.doi.org/10.1111/j.1600-0501.2009.01905.x] [PMID: 20636726] , 9Ibrahim N, Parsa A, Hassan B, Van Der Stelt P. The effect of scan parameters on cone beam CT trabecular bone microstructural measurements of the human mandible. Dentomaxillofac Radiol 2013; 42(10): 41-7.]. Inside each model, six samples were randomly mounted and fixed. A total of 12 simulated mandibular models were fabricated as such. All mandibular models with samples mounted in them were scanned using the three CBCT systems. In other words, each sample was scanned with the three CBCT systems with their respective FOVs. Using the respective software programs for each system, 3D images were reconstructed of all scans of each sample. The OnDemand 3D dental software (Soredex, Tuusula, Finland) was used in the Cranex 3D system (Fig. 1 ). NNT Viewer software (Newtom, Verona, Italy) was used in NewTom 3G system (Fig. 2 ) and Romexis software (Planmeca OY, Helsinki, Finland) was used in 3D Promax system for image analysis (Fig. 3 ). All images were viewed in Multi-planar Reformation (MPR) format. Three-dimensional reconstructed images of the second mandibular model taken by Cranex 3D ; a:in 4×6 cm2 FOV and b: in 6×8 cm2 FOV. Three-dimensional reconstructed images of the second mandibular model taken by NewTom 3G; a: in 5×5 cm2 FOV and b: in 8×5 cm2 FOV and c: in 8×8 cm2 FOV. Two oral and maxillofacial radiologist viewed the images twice with a two-week interval regarding the observation of cortical bone on 3D scans. 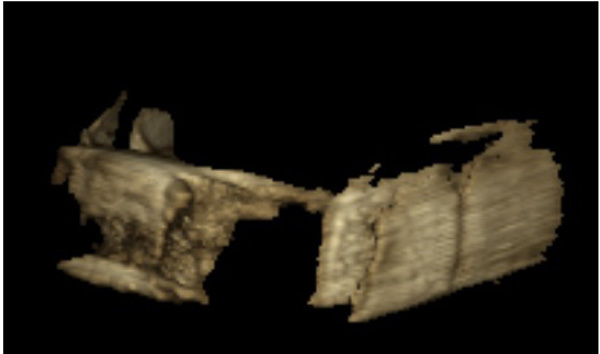 Three-dimensional reconstructed images of the second mandibular model taken by Planmeca CBCT system. The data were analyzed using SPSS software (SPSS V.16, Chicago, IL, USA). Descriptive statistics were reported as frequency (percentage) and mean (standard deviation) values. In order to assess the intra- and inter-observer agreements, the kappa statistic was used. The kappa statistic determines the possibility of one system to correctly predict the results according to uncertainty and chance. The kappa coefficient may range from −1 to +1. Cohen suggested that a score lower than 0.41 might be considered as a low agreement [10Cohen J. A coefficient of agreement for nominal scales. Educ Psychol Meas 1960; 20: 37-46. [http://dx.doi.org/10.1177/001316446002000104] ]. The kappa statistic was applied to assess the agreement in binary results of variables where the null hypothesis assumes no agreement between the results. According to Table 1, both inter- and intra-observer agreements were within the acceptable range. Results of Kappa statistic (P-value) for assessing the intra and inter observer agreements. Table 2 shows descriptive statistics of the cortical bone thicknesses in the three groups of less than 0.5 mm, between 0.6 mm and 1 mm and more than one millimeter. The descriptive statistics were reported as mean, standard deviation, minimum and maximum values of the cortical thickness. Descriptive statistics for cortical thickness in its different categories. Table 3 presents the data regarding the frequency and percentage of observing cortical bone with different thicknesses on CBCT scans taken with the three systems. For cortical bone thickness less than 1mm, the results of the three systems were compared using the kappa statistic. Frequency (percentage) of visibility of cortical bone. As seen in Table 4, in samples with 0-0.5 mm cortical bone thickness, Cranex 3D system with 4×6 cm2 FOV showed higher efficacy for image reconstruction. The lowest efficacy belonged to 3D Promax system. Cranex 3D FOV: 4×6 cm2 is significantly in accordance with Cranex 3D 6×8 cm2 (kappa =0.8, P <0.001) and NewTom 3G Fov: 5×5 cm2 (kappa =0.4, P = 0.046). The binary results of Cranex 3D FOV: 6×8 cm2 were the same way as for NewTom 3G FOV: 5×5 cm2 (kappa =0.438, P = 0.032) and NewTom 3G FOV: 8×5 cm2 (kappa =0.341, P = 0.026). NewTom 3G FOV: 8×5 cm2 was also resulted similar to NewTom 3G FOV: 8×8 cm2 (kappa =0.654, P <0.001). Comparison and level of agreement between different CBCT systems for 3D visualization of cortical bone with thicknesses 0.5 mm or less. In samples with 0.6-1 mm cortical bone thickness, Cranex 3D with 6×8 cm2 FOV, Cranex 3D with 4×6 cm2 FOV, NewTom with 5×5 cm2 FOV and NewTom with 8×5 cm2 FOV showed higher efficacy (100%) for image reconstruction while 3D Promax followed by NewTom with 8×8 cm2 FOV showed the lowest efficacy, respectively. 3D Promax and NewTom 3G FOV: 8×8 cm2 were not in accordance statistically, the agreement coefficient was -0.05 (P = 0.758). All systems evaluated in this study showed 100% efficacy for image reconstruction of cortical bone in thicknesses over one millimeter and were not significantly different in this respect [11Wang J, Ye M, Liu ZH. Precision of cortical bone reconstruction based on 3D CT scans. Comput Med Imaging Graph 2009; 12: 235-41.]. Three-dimensional CBCT scans are increasingly used for treatment planning for an implant placement morphological assessment of the jaws and craniofacial structures and assessment of bone thickness and volume for orthognathic and reconstruction surgeries in the head and neck region due to trauma or pathologic lesions [12Loubele M, Maes F, Schutyser F, Marchal G, Jacobs R, Suetens P. Assessment of bone segmentation quality of cone-beam CT versus multislice spiral CT: A pilot study. Oral Surg Oral Med Oral Pathol Oral Radiol Endod 2006; 102(2): 225-34. [http://dx.doi.org/10.1016/j.tripleo.2005.10.039] [PMID: 16876067] , 13Van Assche N, van Steenberghe D, Guerrero ME. Accuracy of implant placement based on pre-surgical planning of three-dimensional cone-beam images: A pilot study. J Clin Periodontol 2007; 34: 816-21.]. However, the accuracy of reconstructed CBCT images has not been well investigated in previous studies [14Liang X, Lambrichts I, Sun Y, et al. A comparative evaluation of Cone Beam Computed Tomography (CBCT) and Multi-Slice CT (MSCT). Part II: On 3D model accuracy. Eur J Radiol 2010; 75(2): 270-4. [http://dx.doi.org/10.1016/j.ejrad.2009.04.016] [PMID: 19423257] ]. Considering the importance of visualization of cortical bone on CBCT scans and since no previous study has evaluated the efficacy of CBCT systems for 3D image reconstruction of different thicknesses of cortical bone, this study aimed to assess the efficacy of three CBCT systems namely 3D Promax, Cranex 3D and NewTom 3G for 3D reconstruction of different thicknesses of cortical bone. Studies on the accuracy of 3D image reconstruction by CT systems have shown that CT has limitations in image reconstruction of cortical bone in thicknesses less than one millimeter [11Wang J, Ye M, Liu ZH. Precision of cortical bone reconstruction based on 3D CT scans. Comput Med Imaging Graph 2009; 12: 235-41.]. Thus, the current study assessed the efficacy of CBCT systems for image reconstruction of cortical bone in three different thicknesses of 0-0.5 mm, 0.6-1 mm and 1.1-1.5 mm. The results showed that CBCT systems were significantly efficient for 3D image reconstruction of cortical bone in thicknesses less than one millimeter, but the efficacy of the three systems was found to be different. The superiority of CBCT to CT for 3D reconstruction of cortical bone in thin thicknesses may be due to the fact that CBCT provides images with very small isotropic voxels, which result in higher spatial resolution of CBCT images [11Wang J, Ye M, Liu ZH. Precision of cortical bone reconstruction based on 3D CT scans. Comput Med Imaging Graph 2009; 12: 235-41., 15Viceconti M, Zannoni C, Testi D, et al. CT data sets surface extraction for biomechanical modeling of long bones. Comp Methods Prog Biomed 1999; 59: 159-66.]. The three CBCT systems showed the greatest difference in the reconstruction of cortical bone with less than 0.5 mm thickness. Cranex 3D system with 4×6 cm2 FOV had the highest efficacy for 3D image reconstruction of cortical bone while 3D Promax system with 8×8 cm2 FOV had the lowest efficacy. 3D Promax had significantly lower efficacy than other systems. In the NewTom 3G system, 5×5 cm2 FOV had significantly higher efficacy than 8×5 cm2 and 8×8 cm2 FOVs for 3D image reconstruction of cortical bone. In the NewTom system, although 8×5 cm2 FOV was superior to 8×8 cm2 FOV in 3D image reconstruction of cortical bone, this difference was not statistically significant. All three CBCT systems in the current study showed 100% efficacy for image reconstruction of cortical bone in thicknesses over one millimeter. In samples with 0.6-1 mm cortical bone thickness, Cranex 3D system with 4×6 cm2 FOV, Cranex 3D with 6×8 cm2 FOV and NewTom with 5×5 cm2 and 8×5 cm2 FOVs had significantly higher efficacy for cortical bone image reconstruction and all of them well visualized the cortical bone in 100% of the cases (cortical bone was visible on 100% of the reconstructed CBCT scans). In this group, 3D Promax system had the lowest efficacy followed by NewTom 3G with 8×8 cm2 FOV. The latter showed significantly higher efficacy in 3D image reconstruction of cortical bone than the 3D Promax system. Ibrahim et al. [9Ibrahim N, Parsa A, Hassan B, Van Der Stelt P. The effect of scan parameters on cone beam CT trabecular bone microstructural measurements of the human mandible. Dentomaxillofac Radiol 2013; 42(10): 41-7.] in their study on the effect of scanning parameters on CBCT trabecular bone microstructural measurements concluded that FOV was the most influential factor affecting the quality of final image, and the microstructure of trabecular bone was significantly more visible when smaller FOVs were used. They showed that when larger FOVs were used, trabecular thickness and trabecular spacing decreased, which complicated precise observation of this anatomical structure on the final image. Similarly, in our study, cortical bone (especially in samples with a thinner thickness of cortical bone) was better visualized on 3D CBCT scans when smaller FOVs were used. The difference between our study and that of Ibrahim et al, was that they used the mandible of a human cadaver and assessed the factors affecting visualization of microstructure of trabecular bone on cross-sectional images and reported their results based on observation of the number of trabeculae, thickness of trabeculae and the distance between them in different FOVs. However, we used bovine rib in order to obtain smaller thicknesses of cortical bone and compared the efficacy of three CBCT systems for visualization of different thicknesses of cortical bone. In the clinical setting, the quality of reconstructed 3D CBCT scans and their capability in visualizing anatomical structures are affected by several factors, which are mainly related to the CBCT system used and the imaging parameters such as FOV, voxel size, exposure settings and some other technical issues; thus, different CBCT systems are expected to have different capabilities with regard to 3D reconstruction of an anatomical structure [16Hassan B, Couto Souza P, Jacobs R, de Azambuja Berti S, van der Stelt P. Influence of scanning and reconstruction parameters on quality of three-dimensional surface models of the dental arches from cone beam computed tomography. Clin Oral Investig 2010; 14(3): 303-10. [http://dx.doi.org/10.1007/s00784-009-0291-3] [PMID: 19506922] -18Kamburoglu K,, Kursun S. A comparison of diagnostic accuracy of CBCT images of different voxel resolutions to detect simulated small internal resorption cavities. Int Endod J 2010; 43: 798-807. [http://dx.doi.org/10.1111/j.1365-2591.2010.01749.x] [PMID: 20609023] ]. Comparison of different systems revealed that FOV significantly affects the quality of reconstructed images and must be taken into account when the goal is to assess anatomical structures on the reconstructed CBCT images [16Hassan B, Couto Souza P, Jacobs R, de Azambuja Berti S, van der Stelt P. Influence of scanning and reconstruction parameters on quality of three-dimensional surface models of the dental arches from cone beam computed tomography. Clin Oral Investig 2010; 14(3): 303-10. [http://dx.doi.org/10.1007/s00784-009-0291-3] [PMID: 19506922] ]. Using a large FOV for imaging of dental arches and maxillofacial structures significantly decrease the spatial resolution and the quality of reconstructed 3D images [16Hassan B, Couto Souza P, Jacobs R, de Azambuja Berti S, van der Stelt P. Influence of scanning and reconstruction parameters on quality of three-dimensional surface models of the dental arches from cone beam computed tomography. Clin Oral Investig 2010; 14(3): 303-10. [http://dx.doi.org/10.1007/s00784-009-0291-3] [PMID: 19506922] ]. A larger FOV results in less sharp reconstruction, which is attributed to the greater beam angulation in the superior and inferior volume areas and decreased contrast to noise ratio [16Hassan B, Couto Souza P, Jacobs R, de Azambuja Berti S, van der Stelt P. Influence of scanning and reconstruction parameters on quality of three-dimensional surface models of the dental arches from cone beam computed tomography. Clin Oral Investig 2010; 14(3): 303-10. [http://dx.doi.org/10.1007/s00784-009-0291-3] [PMID: 19506922] , 17Hedesiu M, Baciut M, Baciut G, Nackaerts O, Jacobs R. Comparison of cone beam CT device and field of view for the detection of simulated periapical bone lesions. Dentomaxillofac Radiol 2012; 41(7): 548-52. [http://dx.doi.org/10.1259/dmfr/19322177] [PMID: 22554990] ]. Studies have mainly assessed the effects of FOV and voxel size on the quality of CBCT images. In smaller FOVs, voxel size is smaller as well. Although smaller voxel size increases the noise in the final image, due to its positive effect and providing images with higher spatial resolution, it increases the quality of the final image. Most studies on the effect of voxel size on the quality of final image have recommended using smaller voxel sizes. Hedesin et al. [17Hedesiu M, Baciut M, Baciut G, Nackaerts O, Jacobs R. Comparison of cone beam CT device and field of view for the detection of simulated periapical bone lesions. Dentomaxillofac Radiol 2012; 41(7): 548-52. [http://dx.doi.org/10.1259/dmfr/19322177] [PMID: 22554990] ] evaluated the efficacy of different CBCT systems and the effect of different FOVs on visualization of simulated periapical lesions on CBCT scans. They evaluated the mandible of slaughtered pigs using Accuitomo 3D, Scanora and New Tom 3G in 6, 9 and 12 mm FOVs. Based on their results, scans taken by Scanora system had the highest sensitivity for detection of periapical lesions while the other two systems were not significantly different. With regard to the size of FOV, although the diagnostic sensitivity for periapical lesions decreased in larger FOVs, this reduction was not significant; which is in contrast to our findings; however, it should be noted that they only evaluated cross-sectional images. Wenzel et al. [19Wenzel A, Haiter-Neto F, Frydenberg M, Kirkevang LL. Variable-resolution cone-beam computerized tomography with enhancement filtration compared with intraoral photostimulable phosphor radiography in detection of transverse root fractures in an in vitro model. Oral Surg Oral Med Oral Pathol Oral Radiol Endod 2009; 108(6): 939-45. [http://dx.doi.org/10.1016/j.tripleo.2009.07.041] [PMID: 19875312] ] and Melo et al. [20Melo SL, Bortoluzzi EA, Abreu M Jr, Corrêa LR, Corrêa M. Diagnostic ability of a cone-beam computed tomography scan to assess longitudinal root fractures in prosthetically treated teeth. J Endod 2010; 36(11): 1879-82. 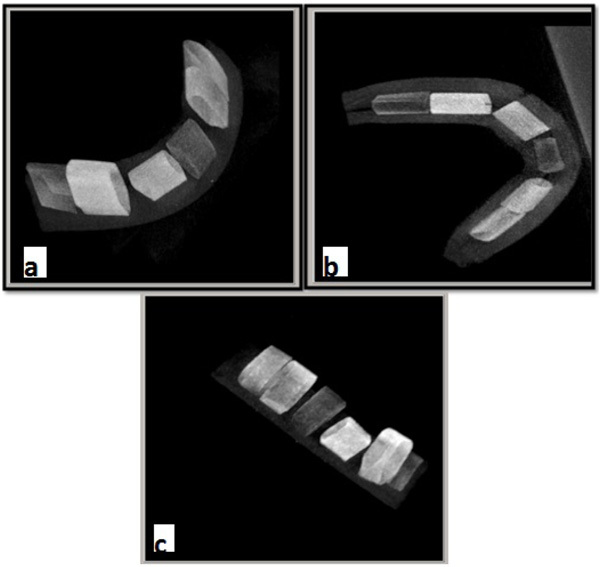 [http://dx.doi.org/10.1016/j.joen.2010.08.025] [PMID: 20951305] ] assessed the parameters affecting the diagnostic accuracy of CBCT images in detection of root fractures and recommended the use of CBCT systems with smaller voxel size (smaller than 0.2 mm) and high resolution in cases suspected for root fracture. Librizzi et al. [21Librizzi ZT, Tadinada AS, Valiyaparambil JV, Lurie AG, Mallya SM. Cone-beam computed tomography to detect erosions of the temporomandibular joint: Effect of field of view and voxel size on diagnostic efficacy and effective dose. Am J Orthod Dentofacial Orthop 2011; 140(1): e25-30. [http://dx.doi.org/10.1016/j.ajodo.2011.03.012] [PMID: 21724068] ] found that images with 0.2 mm voxel size had significantly higher accuracy for diagnosis of erosion of temporomandibular joint than those with 0.4 mm voxel size. All previous studies evaluated the effect of voxel size on the quality of cross-sectional views of CBCT scans and only one study evaluated the reconstructed 3D images [9Ibrahim N, Parsa A, Hassan B, Van Der Stelt P. The effect of scan parameters on cone beam CT trabecular bone microstructural measurements of the human mandible. Dentomaxillofac Radiol 2013; 42(10): 41-7.-11Wang J, Ye M, Liu ZH. Precision of cortical bone reconstruction based on 3D CT scans. Comput Med Imaging Graph 2009; 12: 235-41. ], none of the mentioned studies evaluated the effect of different parameters on visualization of cortical bone. Maret et al. [22Maret D, Telmon N, Peters OA, et al. Effect of voxel size on the accuracy of 3D reconstructions with cone beam CT. Dentomaxillofac Radiol 2012; 41(8): 649-55. [http://dx.doi.org/10.1259/dmfr/81804525] [PMID: 23166362] ] evaluated the effect of voxel size on the accuracy of reconstructed 3D CBCT scans. They scanned extracted human teeth using Kodak 9500 3D system with 200 and 300 μm voxel sizes. Scans were also taken of the samples using micro-CT (Scanco Medical Xtreme CT) as the control group. Volumetric measurements in samples were made using AmIRA software. The results showed that under-estimation in tooth volumetric measurements made on reconstructed 3D CBCT scans was significantly higher when larger voxel sizes (300 μm) were used. A large voxel size of CBCT scans significantly under-estimated volumetric measurements compared to CBCT scans with small voxel size [22Maret D, Telmon N, Peters OA, et al. Effect of voxel size on the accuracy of 3D reconstructions with cone beam CT. Dentomaxillofac Radiol 2012; 41(8): 649-55. [http://dx.doi.org/10.1259/dmfr/81804525] [PMID: 23166362] ]. These results were similar to our article. Measurement underestimation is described by the Partial Volume Effect (PVE) and is an important parameter affecting the spatial resolution and subsequently the quality of the final image [23Chakeres DW. Clinical significance of partial volume averaging of the temporal bone. AJNR Am J Neuroradiol 1984; 5(3): 297-302. [PMID: 6426283] , 24Molen AD. Considerations in the use of cone-beam computed tomography for buccal bone measurements. Am J Orthod Dentofacial Orthop 2010; 137(4)(Suppl. ): S130-5. [http://dx.doi.org/10.1016/j.ajodo.2010.01.015] [PMID: 20381753] ]. Also, 3D CBCT images include a wide range of gray value, which is affected by PVE [16Hassan B, Couto Souza P, Jacobs R, de Azambuja Berti S, van der Stelt P. Influence of scanning and reconstruction parameters on quality of three-dimensional surface models of the dental arches from cone beam computed tomography. Clin Oral Investig 2010; 14(3): 303-10. [http://dx.doi.org/10.1007/s00784-009-0291-3] [PMID: 19506922] ]. When CBCT images are binarized, voxels are assigned either as bone or as marrow according to their gray values. Voxels with the data of both bone and marrow show a gray value between the two and thus, it is difficult to determine whether such a voxel displays bone or marrow. When larger voxel sizes are used, the voxel values under the influence of PVE can result in an image with thicker trabeculae or cause loss of thin trabeculae [25Kothari M, Keaveny TM, Lin JC, Newitt DC, Genant HK, Majumdar S. Impact of spatial resolution on the prediction of trabecular architecture parameters. Bone 1998; 22(5): 437-43. [http://dx.doi.org/10.1016/S8756-3282(98)00031-3] [PMID: 9600776] ]. The CBCT systems with larger voxel size and higher spatial resolution are less affected by the PVE [24Molen AD. Considerations in the use of cone-beam computed tomography for buccal bone measurements. Am J Orthod Dentofacial Orthop 2010; 137(4)(Suppl. ): S130-5. [http://dx.doi.org/10.1016/j.ajodo.2010.01.015] [PMID: 20381753] ]. Increasing the voxel size decreases the sharpness of CBCT images, which reduces the diagnostic accuracy of anatomical structures [24Molen AD. Considerations in the use of cone-beam computed tomography for buccal bone measurements. Am J Orthod Dentofacial Orthop 2010; 137(4)(Suppl. ): S130-5. [http://dx.doi.org/10.1016/j.ajodo.2010.01.015] [PMID: 20381753] ]. The current study also showed that in CBCT systems with different FOVs, smaller FOVs and consequently smaller voxel sizes better visualized cortical bone, especially in very thin thicknesses. Cranex 3D system with 4×6 cm2 FOV with 0.136 mm3 voxel size had significantly greater ability for visualization of cortical bone with less than 0.5 mm thickness compared to 6×8 cm2 2 FOV with 0.2 mm3 voxel size. Three different voxel sizes of the NewTom 3G system were evaluated and it was found that 5×5 cm2 FOV with 0.16 mm3 voxel size had significantly higher efficacy for 3D image reconstruction of cortical bone with less than one millimeter thickness compared to 8×5 cm2 FOV with 0.25 mm3 voxel size and 8×8 cm2 FOV with 0.33 mm3 voxel size. The study was approved by the ethics committee of Hamadan University of Medical Sciences (ECHUMS) issued on 2016 (Grant number: EC-16-35-9-220). No humans were used for studies that are the basis of this research. All research procedures were in accordance with the Helsinki Declaration of 1975, as revised in 2008. Hao Y, Zhao W. Assessment of jaw bone density at implant sites using 3D cone beam computed tomography. 2014; . Eur rev med sci 2014; 18: 1398-403. Talaat W, Albayatti S. A CBCT measurement of the mandibular buccal bone thickness in dentate adults. Oral Surg 2014; 34: 1-11. Klintstrom E, Lee JS, Smedby O, Klintstrom B. Trabecular bone histomorphometric measurements and contrast to noise ratio in CBCT. Dentomaxillofac Radiol 2014; 43(8): 46-58. Ibrahim N, Parsa A, Hassan B, Van Der Stelt P. The effect of scan parameters on cone beam CT trabecular bone microstructural measurements of the human mandible. Dentomaxillofac Radiol 2013; 42(10): 41-7. Wang J, Ye M, Liu ZH. Precision of cortical bone reconstruction based on 3D CT scans. Comput Med Imaging Graph 2009; 12: 235-41. Van Assche N, van Steenberghe D, Guerrero ME. Accuracy of implant placement based on pre-surgical planning of three-dimensional cone-beam images: A pilot study. J Clin Periodontol 2007; 34: 816-21. Viceconti M, Zannoni C, Testi D, et al. CT data sets surface extraction for biomechanical modeling of long bones. Comp Methods Prog Biomed 1999; 59: 159-66.